Supplemental Figure S2. 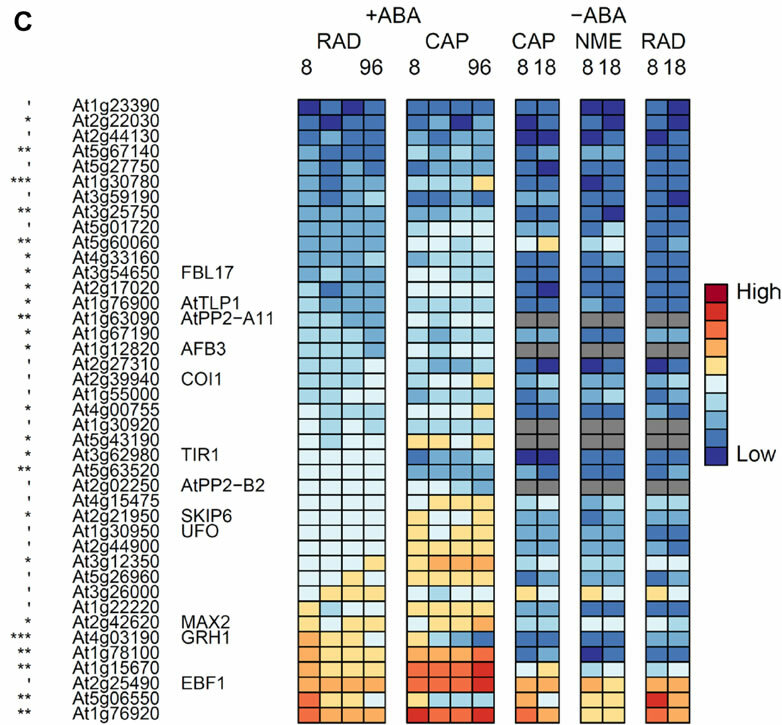 Heat maps showing the expression levels of genes encoding proteins associated with posttranslational modification. 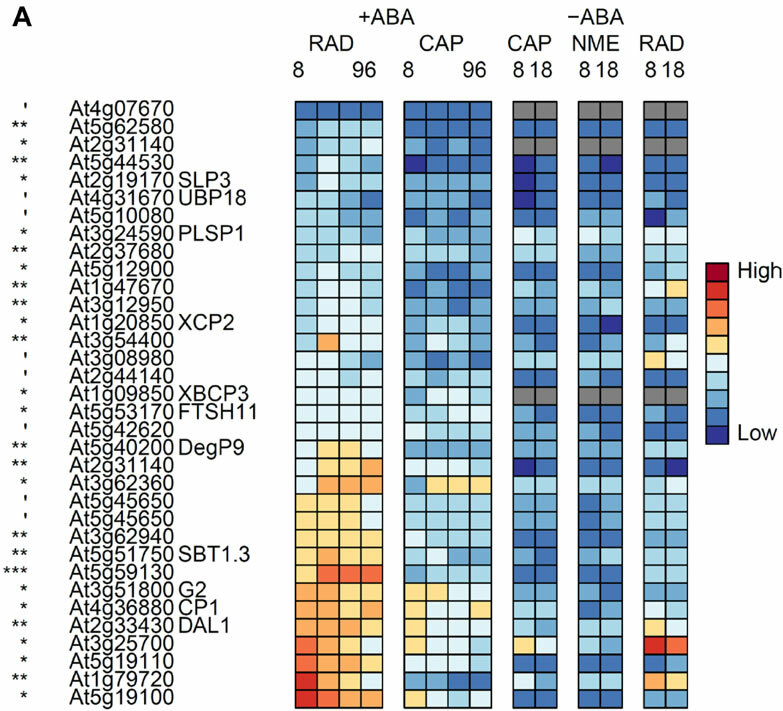 A,Genes in the TAGGIT protein degradation category that are up-regulated in the RAD. B,Genes in the TAGGIT protein degradation category that are up-regulated in the CAP. 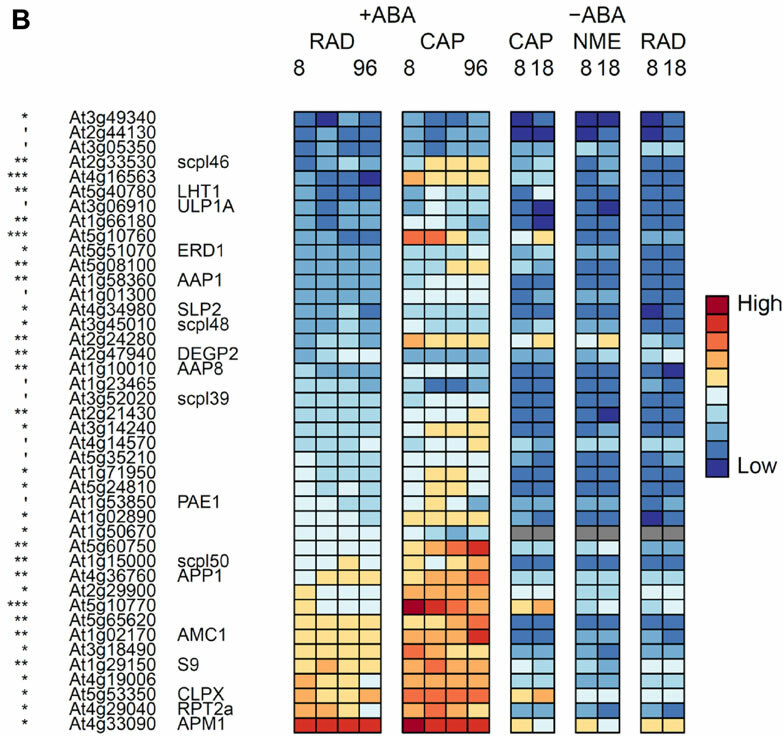 C, Genes encoding F box proteins that are significantly differentially expressed between the RAD and CAP. 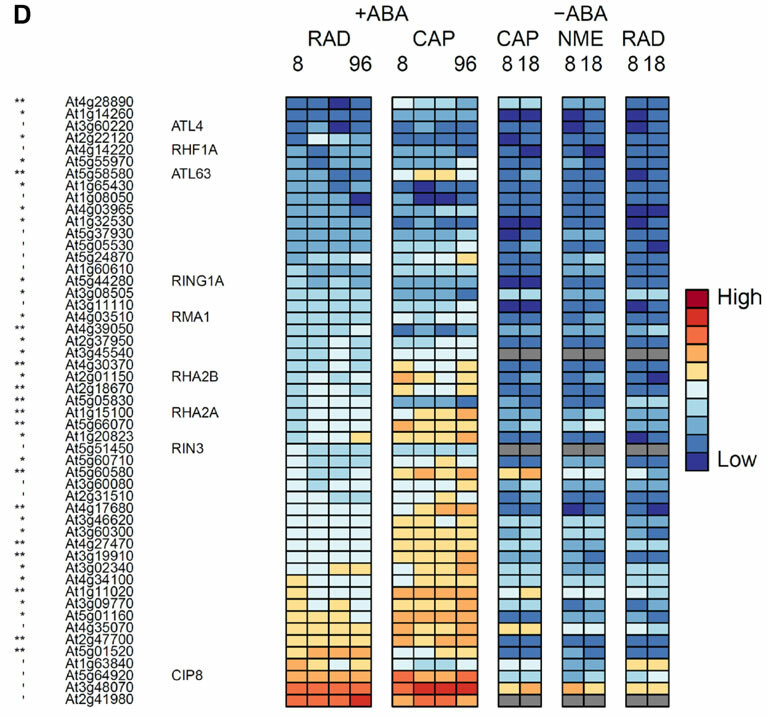 D, Genes encoding RING finger E3 ligaseproteins that are significantly differentially expressed between the RAD and CAP . ', *, **, *** indicate that transcript numbers are significantly different between the tissues on +ABA-arrays at P<0.1, <0.05, <0.01, <0.001 respectively. Genes not present in the data sets are coloured grey.